Do you have the finesse to build the crowd hype and bring together an audience? 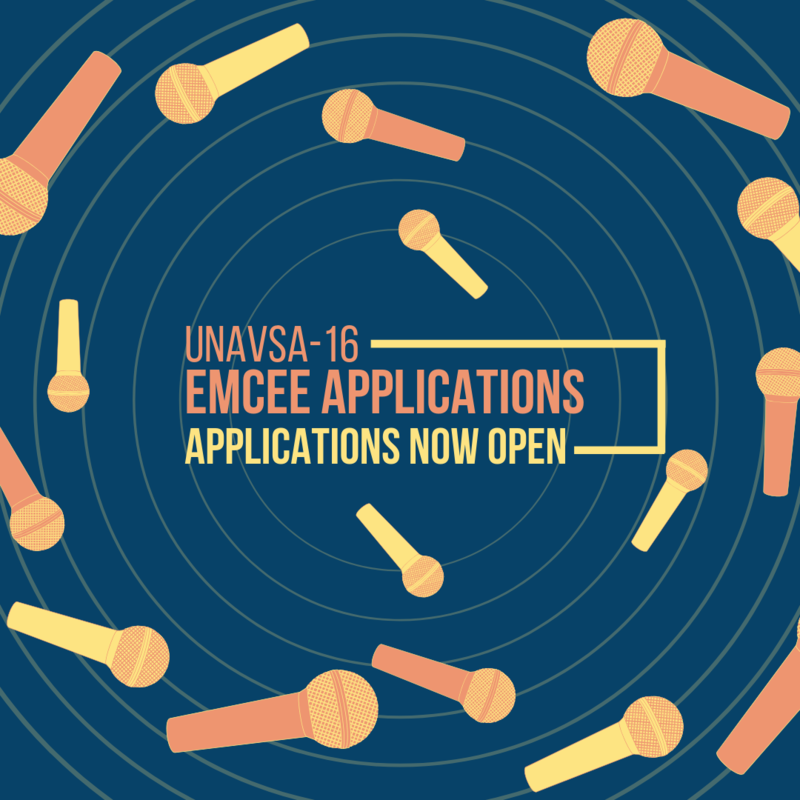 The UNAVSA-16 Entertainment Committee is searching for individuals with undeniable stage presence to be our Masters of Ceremonies. The Emcees will introduce honored keynotes and speakers, broadcast announcements to attendees, and most importantly engage our audience. Apply today to be an Emcee! Applications close April 21st, at 11:59 PM PDT! For questions or concerns, please email the Entertainment Committee: conference.entertainment@unavsa.org!